In the early 1960’s, Richard’s mother, Iris Wallace, obtained her real estate license, becoming the first women in the region to do so. Working for a Toronto real estate firm, she sold lakefront real estate on the Muskoka Lakes. For Iris, the same principles that founded Wallace Marine evolved into a successful career in real estate for over 30 years. Richard Wallace began his real estate career in the 1970’s. Having many years’ experience serving Muskoka’s seasonal residents and tourists, it made a lot of sense to open a real estate brokerage that provided sound advice, incomparable knowledge of the area and unquestionable business ethics. On October 17th, 1978, Richard Wallace Real Estate Limited was founded. After successfully operating the brokerage for over 25 years, Richard sold the business to his brother-in-law Douglas Pain in 2005 who stepped in to become the Broker of Record. Richard remains with the company providing the same quality of service to his clients. Having grown up in the family resort business, Paignton House, Douglas’s core values of great customer service and ethical business practice mirrored those that Richard had established for the company so the transition was perfect. In 2010, the family tradition continued when Richard’s son, Adam Wallace joined his uncle at the helm of Richard Wallace Real Estate Limited, becoming co-owner and broker. As a local business, it has been very important for Richard Wallace Real Estate Limited to support the community through its many charitable organizations including minor hockey, soccer, the Shriners, the Lions Club. 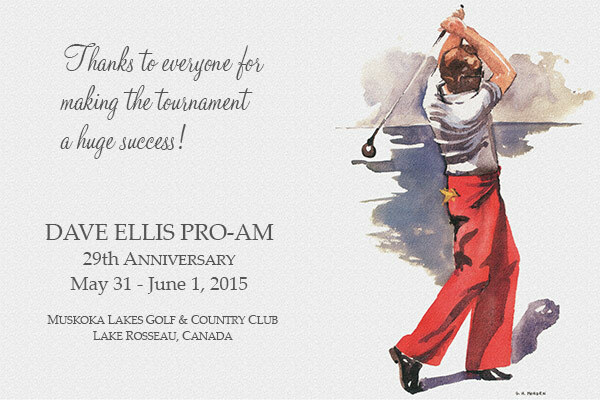 One such organization that this company has been a major sponsor of is the Dave Ellis Pro-Am golf, established 1986. All proceeds from this tournament are donated to the South Muskoka Hospital Foundation and to-date it has raised over $500,000. Together with the Muskoka Lakes Golf and Country Club, who generously donates the golf course year after year, and the many participants, Richard Wallace Real Estate Limited fulfills a common goal – helping the local community.